As we are getting closer to the summer season, some of the main thoughts on our brains are hitting the beach, catching a tan and…trying to see our feet over our giant belly? Nobody wants to feel out of shape, especially on the beach, ultimately bearing all for the world to see our insecurities and problem areas. Common beach goers aren’t always as perfect as the hunky lifeguard or the chiseled volleyball player, as that takes a lot of work and dedication in the gym and in our diets. For men, there are three specific body types that characterize each build and ability/inability to build mass and bulk. First, we have the ectomorphs, which are typically the skinny, lanky guys. They have a slight frame with a fast metabolism. These individuals often have a harder time building muscle mass and fat. This makes it difficult to achieve that certain physique they desire and those signature surfer abs. Then, we have the mesomorphs, who are the men who seem to be naturally athletic. For these guys, they seem to gain healthy weight and muscle just by breathing and stepping into the gym. Their athletic physique and strong bone structure helps give them the ability to pack on muscle while gaining healthy weight and mass. These people are considered “genetically lucky”. Last, we have the endomorphs, which are usually the small, stocky guys who smell pizza and gain ten pounds in all the wrong areas. These men have the ability to gain muscle however struggle because they gain extra fat. Although these individuals are strong, they tend to carry around excess weight that becomes harder to shed. Not everyone can be a mesomorph, and more often than not, guys are either an ectomorph or an endomorph. 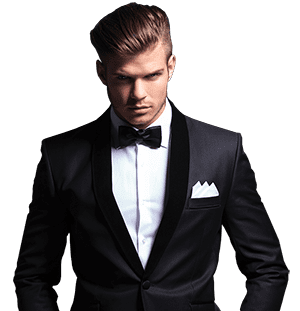 However, with the rising trend in male plastic surgery, genetics and inability to gain muscle and tone in the body is no longer the factor holding men back. Dr. Steinbrech has perfected the art of “Gladiator Abs”. This procedure, also known as abdominal etching, is used to surgically remove unwanted fat from the abdominal region and sculpt the stomach to a more defined appearance. By enhancing and improving the definition and tone of the abdominal muscles, men cam finally have the chiseled abs that they’ve always dreamed of. Believe it or not, there are a large group of men who have participated in extreme exercise and strict diet regimens that have built their ideal six pack, however, it is well-hidden underneath a layer of stubborn, unwanted fat. For some, diet and exercise only do so much for the body and the harsh truth of the matter is that sometimes, these methods just do not work effectively, no matter how much time and effort is dedicated to the final result. 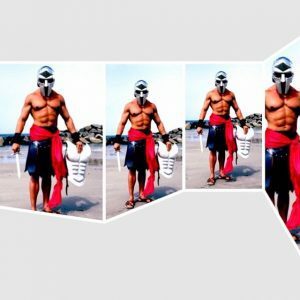 Dr. Steinbrech has mastered the Gladiator Abs and did so with the fact that gladiators are always displaying a strong, well-structured physique that drips in masculinity while displaying the ultimate defined body. This surgery takes approximately one hour to complete and may be performed under local or general anesthesia as an outpatient procedure. Before the surgery begins, Dr. Steinbrech will first draw an outline of the patients existing abdominal muscles that will act as a guide for small incision placements. Then, a small metal tube, a cannula, is inserted under the skin to give the appearance of a raised ab. Excess fat along the drawn lines is then removed using a liposuction approach, ultimately shaping and sculpting the abs into a desired contour. Depending on the size of the incision, which is typically less than a quarter inch, stitches may be required. Some common side effects of the surgery may be redness, bruising and swelling. All invasive surgeries run their risks of complications. In this procedure, there is potential for bleeding, excessive scarring and a possibility of infection. It is extremely important to consult with your doctor and make sure you understand all post-operative steps to ensure proper healing. For more information on Gladiator Abs, contact Dr. Steinbrech’s New York office at (646)-480-7750.